Here in Billings, MT the weather is warming up. If you’re as excited to spend more time outdoors, you might be dreaming up ways to transform your patio or garden into an additional living space. 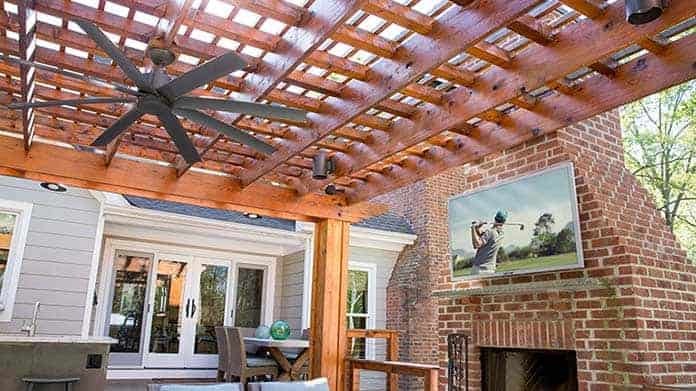 We happen to know the perfect entertainment systems for your outdoor space! The tech is better than it’s ever been and 2017 is the year to make it happen. When it comes to outstanding home sound quality, our favorite brands are Paradigm Garden Oasis and Klipsch. Comtech is an authorized dealer of both brands. Although we don’t have a favorite of the two, it depends entirely upon your project’s needs. However, we can always count on these brands to deliver clear, dynamic sound to any home audio system. The Klipsch Landscape Series has a great look with sleek lines and bronze tones. As a company, Klipsch believes in it’s four principles of audio: High efficiency, low distortion, controlled directivity, and flat frequency response. We love that they pay attention to the details from making installation easy to weather durability. Yet, they keep a nice price point that makes completing your system affordable and budget friendly. Paradigm has designed it’s own Reduced Edge Diffraction™ technology that sets it ahead of the pack. Diffraction of sound in open spaces can lead to losing out on important bits and pieces of audio. Up until now, this has been an obstacle for many outdoor audio installation projects. With the new line from Paradigm, you get improved mid-range frequencies. You will be able to hear the difference. Don’t just take our word, read from hundreds of Paradigm reviews. This new collection of outdoor audio is our most highly recommended. 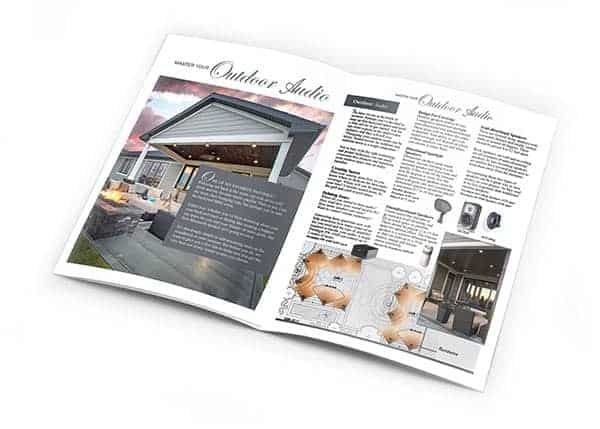 Find our specific product recommendations for your outdoor audio project by reading our article, Master Your Outdoor Audio! 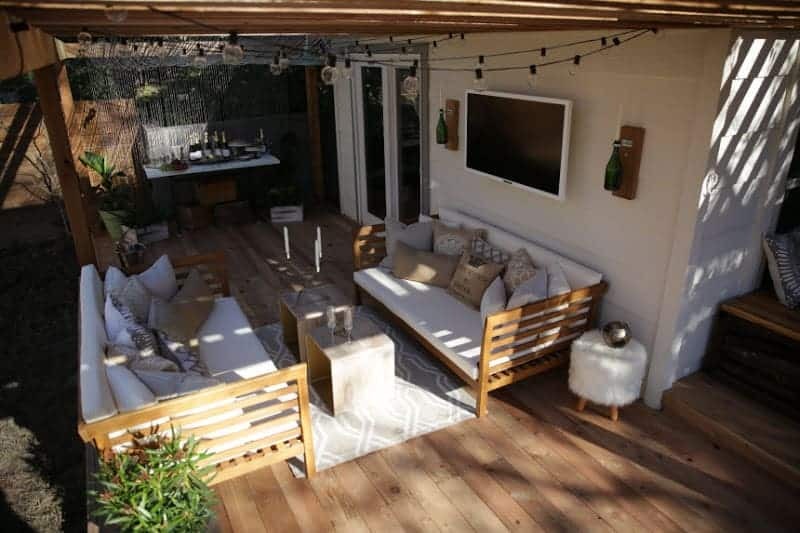 It’s tempting to buy a tv and hook it up to your patio space. Tempting, but not a bight idea. Our favorite brand for outdoor TV is SunbriteTV. Up to 3x brighter than an indoor TV. SunbriteTVs use LED backlights to get the appropriate brightness required by your space. A few weeks ago we had a visit from Paradigm Oasis. We tested out the Oasis speaker system with 3 pairs of Paradigm Satellite speakers and a subwoofer. The setup was complete within 8-mins. Or sit back, relax while we take care of the installation for you. We even include training on how to get the best use of your new outdoor entertainment system, give us a call! Call us at 406-373-8395.